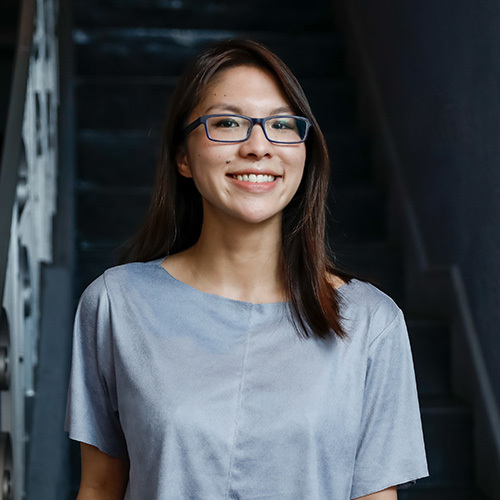 This guest post comes from Robyn Hamilton, QANZAC100 Content Curator for Queensland Memory, part of the State Library of Queensland (SLQ) in Australia. Historypin’s partnership with the SLQ produced QAnzac100, a commemorative hub that helps ensure a digital legacy of Queensland’s participation in the First World War. Over the past few years, Robyn, as well as her colleagues Des Crump and Marg Powell, have worked on an extensive project to help shed light on Aboriginal and Torres Strait Islander servicemen during WWI. Their experience is laid out below. You can visit their (fantastic) corresponding Historypin collection here. Many Indigenous men had to conceal their identities to fight for their country in World War I, and the State Library of Queensland’s newly digitised collection of soldier portraits is helping to bring their service and sacrifice to light. 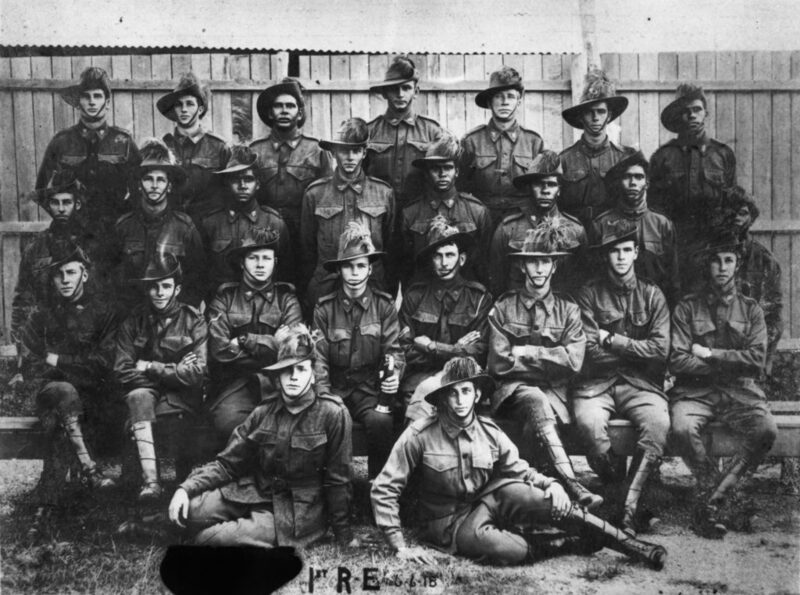 More than 1,250 Indigenous Australians enlisted in the First World War, with around 300 from Queensland. However, at the start of the conflict, The Protection of Aborigines Act, Queensland (1897) made enlistment impossible. The Act denied Indigenous people the basic rights of citizenship, and restricted their movements and activities. Despite this prohibition, Indigenous men still tried to enlist from 1914. Many travelled hundreds of miles to try their luck at recruiting centres far away from their communities, if they had been rejected closer to home. Others with mixed parentage scraped through by claiming foreign nationality. Their success varied, and was often dependent on the attitudes of recruiting sergeants and officers, and how those officials interpreted and applied the instructions for the guidance of enlisting officers at approved military recruiting depots – “Aboriginals, half-casts, or men with Asiatic blood are not to be enlisted – This applies to all coloured men.” However, when conscription was rejected in a 1916 referendum and with heavy losses on the Western Front and a decreasing number of willing recruits, authorities were forced to consider other strategies to meet recruitment quotas. In May 1917, the Australian Government issued a Military Order (No. 200) which relaxed the Defence Act (1903) provisions around Indigenous enlistment. “Persons who are not substantially of European origin or descent” were exempt under the Defence Act (1903); however, the order stated that “half castes may be enlisted in the Australian Imperial Force provided that the examining Medical Officers are satisfied that one of the parents is of European origin.” Although a halfway measure, the order did enable more Aboriginal men to join the AIF. The State Library’s digitisation of soldier portraits published in The Queenslander Pictorial (The Queenslander newspaper supplement) includes images of some of these brave men. The portraits are included in Indigenous enlistment: Stories and portraits of Queensland’s Aboriginal servicemen of the First World War, forming a part of our digitised First World War collections which we share through the QANZAC100 Historypin hub. 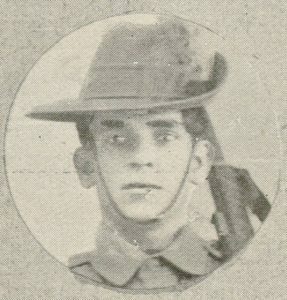 Trooper Horace Dalton, 11th Australian Light Horse Regiment. Horace Dalton was born at Dunwich, North Stradbroke Island, Qld. in 1899 and was working as a farmer when he enlisted 16 May 1918. Each week, The Queenslander dedicated four to five pages to soldier portraits. Of the 57,705 Queenslanders who served in the First World War, around 29,000 of them had a portrait taken and published in The Queenslander Pictorial, making it an invaluable wartime record. Indigenous enlistees, along with their non-Indigenous comrades, had their photos taken as they entered the Enoggera training camp in Brisbane. For some Indigenous soldiers, the portrait is the only known image of them. 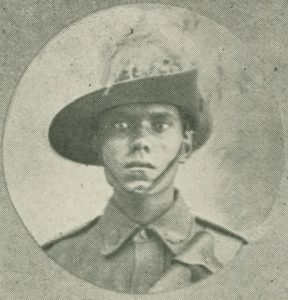 Private Charles (Charlie) ALLEY, 11th Light Horse Regiment, was born in Charters Towers, 1901 to Charles Alley, a Malay and Fanny Palmer an Aboriginal woman from Canobie Station, via Cloncurry. When they embarked at Pinkenba Wharf, soldiers’ portraits were published in groups, usually by battalion, regiment, or reinforcement. From 1917 there is a noticeable increase in the number of Indigenous soldiers whose portraits appeared in print. Indigenous Queenslanders served in all branches of the army – most notably the 11th Light Horse – and in all the major campaigns fought by the Australian Imperial Forces. The portraits included in our Historypin collection represent about 50 per cent of the 300 or so of the Queensland men verified through current research. 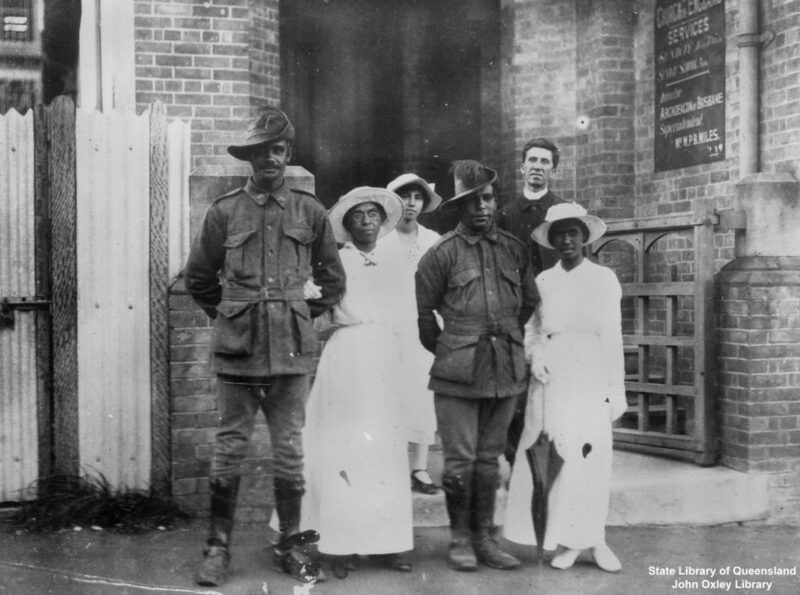 Until recently, many Australians were unaware that Indigenous Australians served in the First World War. We now know that more than 1,000 answered the call to enlist, overcoming racial prejudices of the day, and official State and Commonwealth policies which denied them basic rights afforded to non-Indigenous Australians. This change is certainly reflected in The Queenslander Pictorial soldier portraits. Verification of Indigenous heritage remains an ongoing challenge, as corroborating documents are often non-existent. While First World War service records often describe a dark complexion, dark hair and brown eyes, they rarely state that an enlistee is Aboriginal. Variant spelling, alternative names and incorrect racial attribution have made identification a fascinating but often confusing task. Unfortunately, our Indigenous soldiers enjoyed little of the recognition given to their non-Indigenous counterparts, and upon return from active service they returned to the guardianship of the Chief Protector. Despite their loyalty and sacrifice, nothing had changed, so for us, talking with communities and descendants has been absolutely vital in identifying our First World War Indigenous soldiers, and finally uncovering their stories, and their service to Australia so long ago. The digitisation of the soldier portraits is a major achievement of the QANZAC100: Memories for a new generation project. In addition to this project, since QANZAC100’s beginnings in 2014, dozens of wonderful WWI collections have been created, highlighting a broad range of wartime experiences, contemporary commemorative activities, and stories across the state. Queensland’s indigenous servicemen of the First World War digital story from State Library of Queensland on Vimeo. We are always looking for help to identify Indigenous WWI servicemen, and encourage anyone with further information or a family story to contact us at qanzac100@slq.qld.gov.au. All the portraits are available through the State Library of Queensland’s One Search catalogue, where anyone can view, add a comment, and download for free the high resolution digital files. Where possible, the portraits are matched with war service records on the National Archives of Australia Discovering Anzacs website.